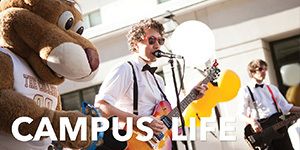 Improving our campus and community through service, innovation and scholarship. The 4,000 artifacts, books and source materials at the Avery Research Center tell the remarkable history of blacks in the South Carolina Lowcountry, from slavery to the rise of Gullah culture and on through the civil rights movement. Part museum, part research facility, the center plays a central role in Charleston’s black community through research opportunities and outreach programs. The Carter Real Estate Center supports the College’s real estate program in the Department of Economics and Finance. 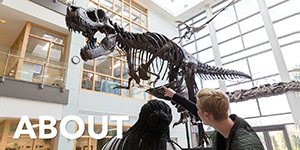 The center is home to three full-time real estate faculty as well as the new Student Real Estate Club and the Real Estate Executive Speaker Series. This multidisciplinary, multicultural academic program studies the city of Charleston and the South Carolina Lowcountry as part of a larger Atlantic World (Europe, Africa, South America and the Caribbean) tied together historically by the transatlantic slave trade. Every week during the academic year, a diverse group of Charleston seniors gets together for two mind-expanding lectures from College of Charleston faculty. The members of the Center for Creative Retirement pay $25 per semester, which entitles them to off-site trips to historical locations, use of the College of Charleston library and monthly lunches at local restaurants. The Center for Entrepreneurship directs its resources and energies to providing experiential activities that assists students in developing an entrepreneurial mindset. It helps connect students to the wider entrepreneurial ecosystem encapsulating guest speakers, mentors, judges, etc. This focus ties directly into the College’s strategic plan to provide enhanced “opportunities for experiential learning” and “contribute to the well-being of the region." A unit of the School of Education, Health, and Human Performance, the Center for Partnerships to Improve Education creates effective collaborations to improve the lives of the students. With a focus on community, higher education, and PreK-12 linkages, the Center enhances the areas of teaching and learning and health and wellness. The Center for Public Choice and Market Process is designed to examine and stimulate discussion of such topics as the role of government institutions in a capitalist society, relationship between government and the individual, relationship between political and economic freedom and the moral structure of a free market economy. 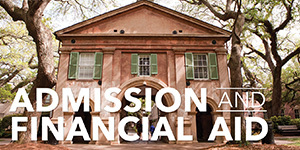 The Center for the Study of Slavery examines the impact of slavery and race-related issues at the College of Charleston, in the City of Charleston and the surrounding region, from the late 18th century through the civil rights era. The center also focuses on the continued impact and legacy of slavery in the present. Stono Preserve is a majestic 881-acre property along the Stono River and the Intercoastal Waterway. The myriad ecosystems include long-leaf pine forests, wetlands, savannahs, tidal marshes, as well as brackish, saltwater and fresh-water ponds. 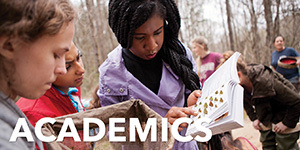 College of Charleston students and faculty of multiple disciplines – from marine biology to forest management and historic preservation - utilize this vibrant living laboratory. Stono Preserve enables the College of Charleston to educate its students in an unparalleled natural setting; inspire collaboration across campus, industry and governmental agencies; and prepare students and faculty to be leaders in today’s environmentally volatile, global society. The English Language Institute provides intensive English-language classes for non-native English speakers. Instruction is at all levels, from beginner to superior. Students hear, speak, write and read English in small classes taught by experienced instructors. At the end of the program, their English will have improved to the extent that they can be understood by native speakers, understand English in academic and social settings and write effectively in a variety of formats. The Global Business Resource Center (GBRC) supports continued development of international education opportunities so students may gain the necessary international business skills, cross-cultural experience and foreign language proficiencies needed to compete effectively in today's globalized economy. To help ensure that the international business knowledge conveyed in the classroom is up-to-date and relevant, the GBRC also supports faculty development and international business research. 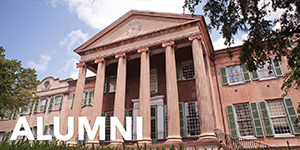 Established in 1955, the laboratory is a core facility in support of the undergraduate and the graduate degree programs in marine and environmental sciences at the College of Charleston. The lab supports research in marine sciences conducted by faculty members and students. 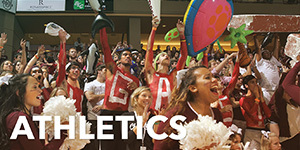 A collaboration between the College of Charleston's School of Sciences and Mathematics and School of Education, Health, and Human Performance, the goal of the Lowcountry Hall of Science and Math is to advance the study of math, science and technology through outreach to Lowcountry schools and through training of future math and science teachers. A partner of the School of Education, Health and Human Performance, the ECDC offers a creative, student-centered education for children two to five years old. This fully accredited institution is also a demonstration program for the innovative approaches to early childhood education taught in the College’s undergraduate and graduate teaching programs. Home to the undergraduate program in urban studies and the graduate program in public administration, the institute is a regional focal point for the study of urban environments and their associated problems and potential. Named in 2001 after Charleston Mayor Joseph P. Riley Jr., the institute is both an academic and community resource for issues concerning urban planning, low-income housing, crime reduction and economic development. Through NASA-sponsored fellowships and scholarships, undergraduate and graduate students at the College of Charleston (and 13 other colleges and universities) can work alongside NASA mentors on real aerospace research projects. Faculty from these schools can also apply for generous grants to support student-focused, hands-on research into projects like high-altitude balloons. The Sustainability Literacy Institute (SLI) is the physical, pedagogical, virtual and institutional hub for sustainability literacy efforts at the College. The purpose of SLI is to foster positive social, economic and environmental change by way of a sustainably literate campus community. The institute encourages the development of new academic courses that can help achieve this and manages several student-focused programs such as its SLI Scholars program and its SLI Ambassadors program. The Sylvia Vlosky Yaschik Jewish Studies Center is the center of Jewish activity at the College of Charleston. Located in the heart of the historic campus, the Center houses the administrative offices for the Yaschik/Arnold Jewish Studies Program, a lounge and office for the Jewish Student Union/Hillel and the offices of the Jewish Historical Society of South Carolina, as well as offices for some of the professors that teach in the Jewish Studies Program.